And Peter Nygaard and his team capture the glitz and glamour of Monaco. GP+ is the fastest F1 magazine in the world. It’s so fast, it’s almost real-time… But it is a magazine that tells you the full story, like racing magazines used to do. It is published in electronic form in PDF format, so you can read it on a laptop or a tablet. Our reporters have access that will take you behind the scenes in the F1 paddock and explain what is really going on. And we don’t hold back when we have an opinion about soemthing. There are plenty of fascinating stories from Grand Prix history as well, plus great photography. We don’t believe in fake news or waffle. This is old style reporting, giving you a blow-by-blow account of what happened, both in qualifying and in the race, so you have a proper record which can stay in your computer for years to come. You get 23 issues for £34.99, covering the entire 2018 Formula 1 season. 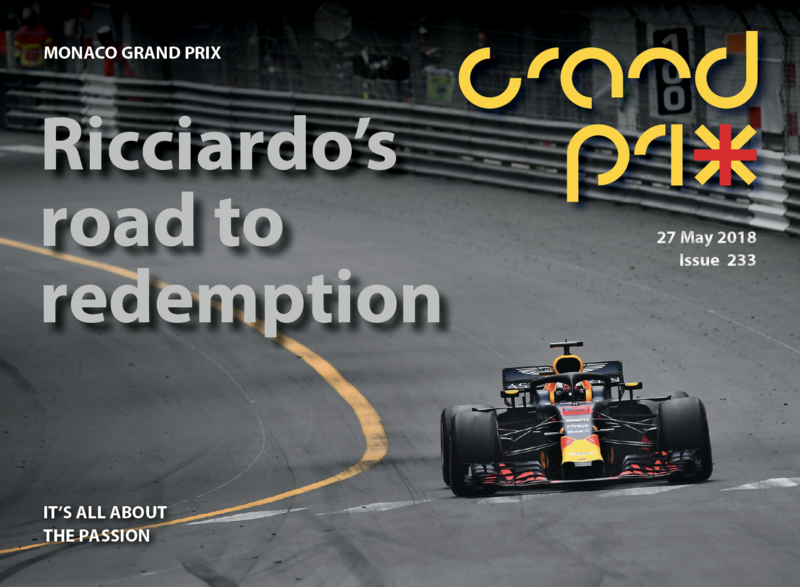 For more information, go to https://www.grandprixplus.com.